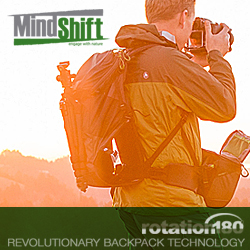 Overview : Bouncelite is designed by a photographer for photographers. 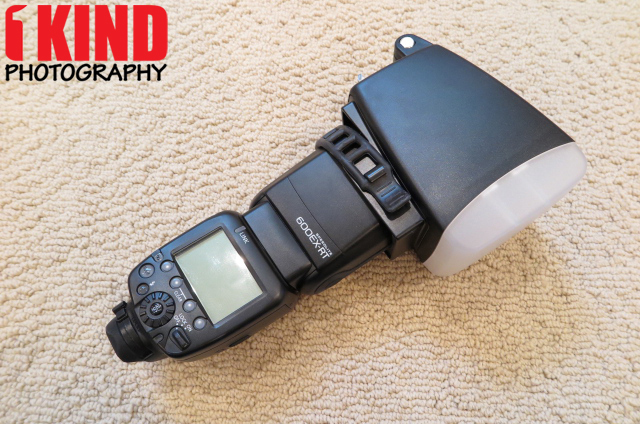 It gives versatility when shooting in challenging lighting conditions and gives control when mixing flash with daylight and artificial light sources. 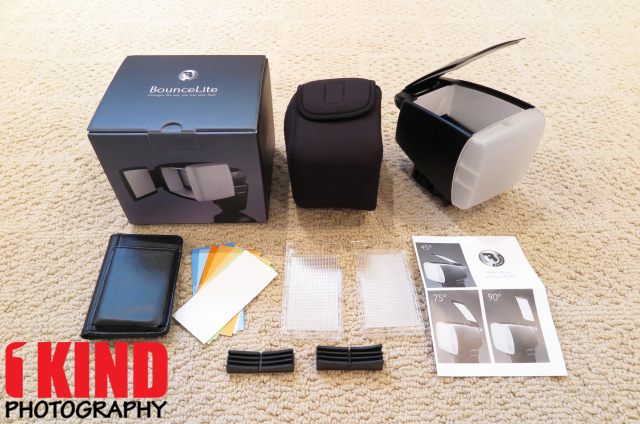 Quality/Usability : BounceLite was first introduced on Kickstarter. It was successfully funded on August 2014. The BounceLite looks unique and different from the diffuser caps, bounce cards...it's actually a combination of them. Included with the BounceLite are mounting pads, filter cassettes, gels sheets, leather wallet to hold cassettes and gels, pamphlet and neoprene carry case. There is also an unboxing video further down below. 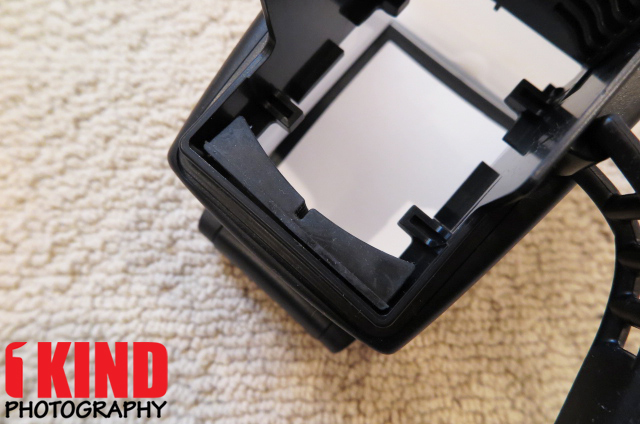 One of BounceLite's most exceptional features is the in-built filter system, which allows the photographer to quickly change filters with unparalleled ease. 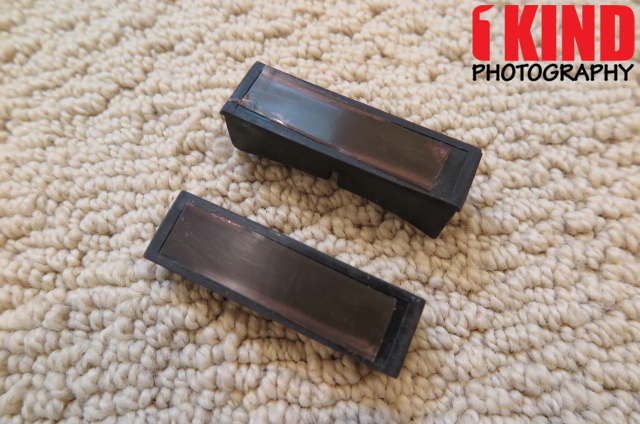 Additionally, the cassette can be taken out to allow for normal flash, all without removing the BounceLite. 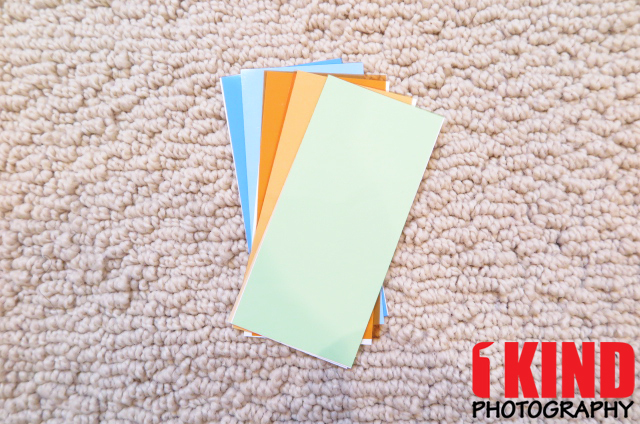 The filter cassette is specifically designed so that the photographer can change their color gel quickly. 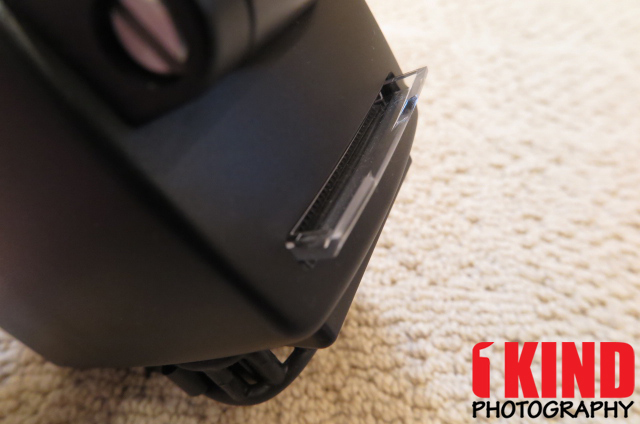 It's also housed and secured inside the diffuser, the user can see exactly which filter is being used while shooting (it also makes a satisfying click sound). There are two sets of color gels. The 'Venue' gels are ideal set for color correction. 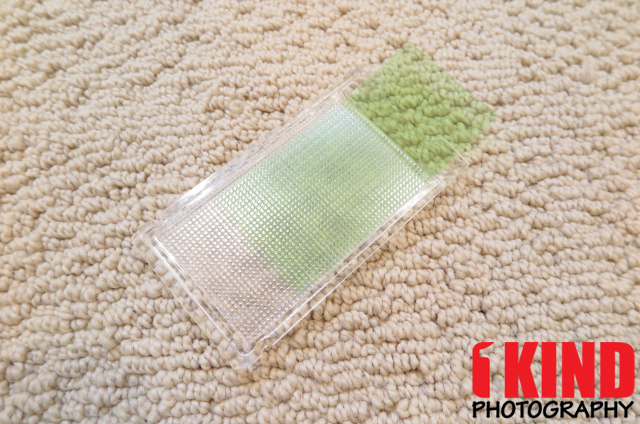 The 'Adventure' gels are for any photographer looking to play with light creatively. 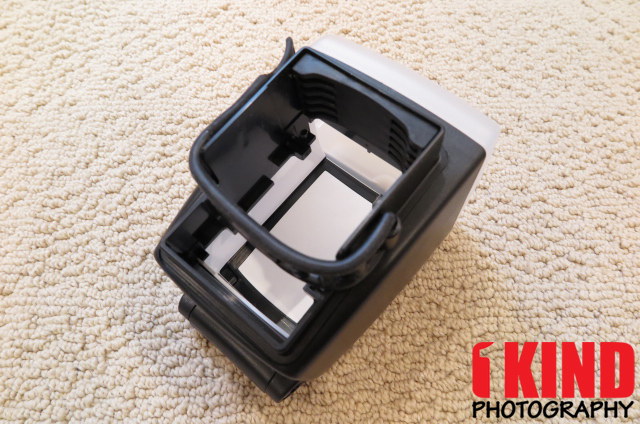 Where do you keep all of your homemade or BounceLite color gels? 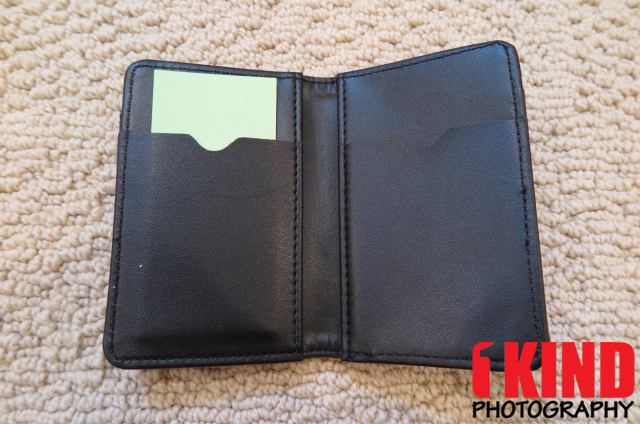 There's no place better than their uniquely designed filter wallet, which safely stores both the cassette (filter holder) and the color gels collection. 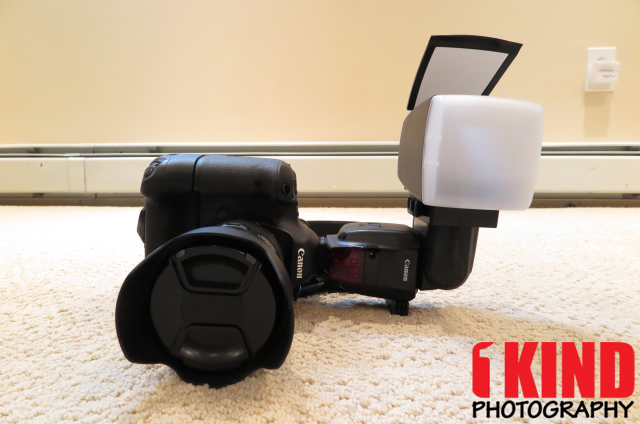 Even when you need to shoot in direct flash mode, you are still able to utilize the filter system. 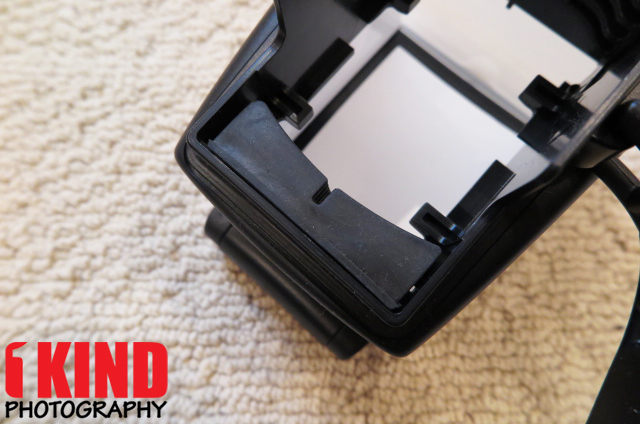 Included with the BounceLite are two mounting pads. 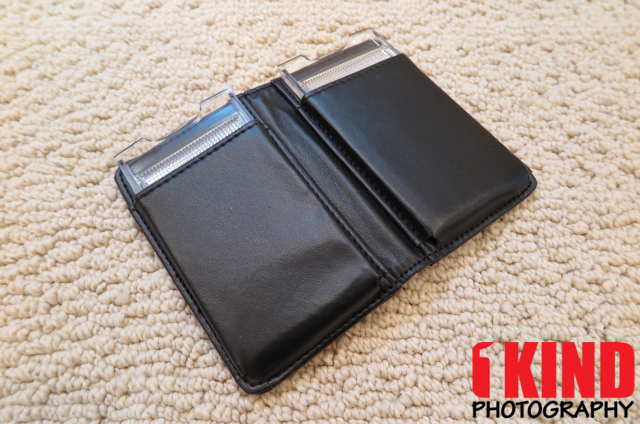 Both are different sizes; small and large. 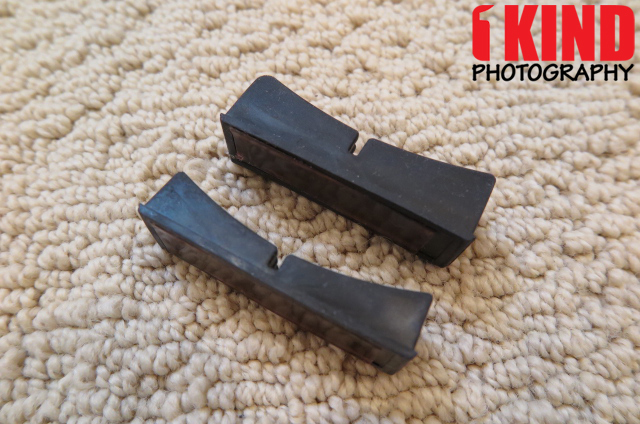 These are only required if the flash head of your flash is small and needs additional support. 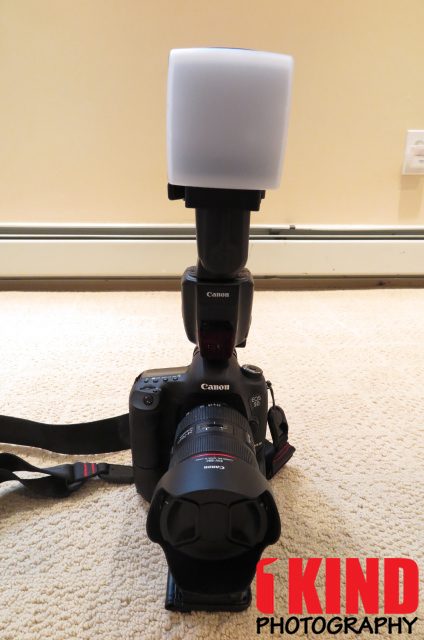 I'm using a Canon 600EX-RT and since flash head is big, there is no need to use the pads. 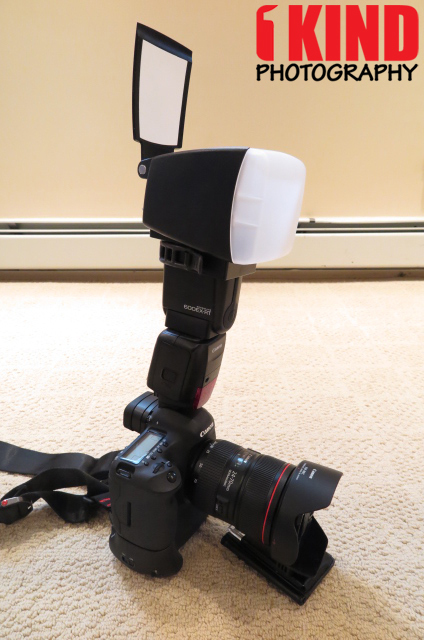 Even if I wanted to use the pads, I couldn't since the flash head took up majority of the area. 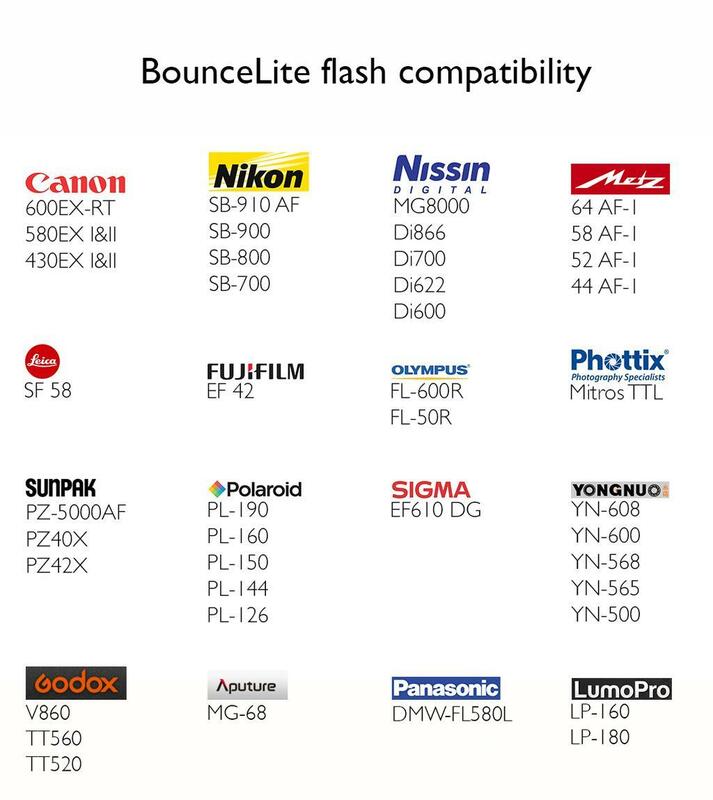 Above is a list of flashes and models that is compatible with the BounceLite. When the bounce door is closed, the only light exit is through the front diffuser creating softer quality light output. When the bounce door opens, it can operate at interchangeable degree of angle. 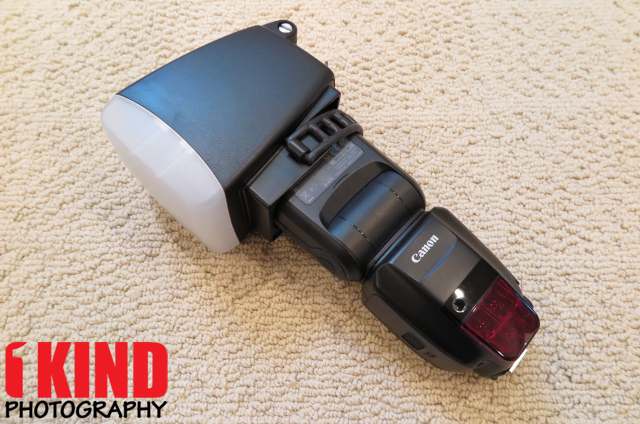 This gives full control over the amount of light spill and acts as a white card to divert the light forward onto the subject. The bounce door can also open all the way back. 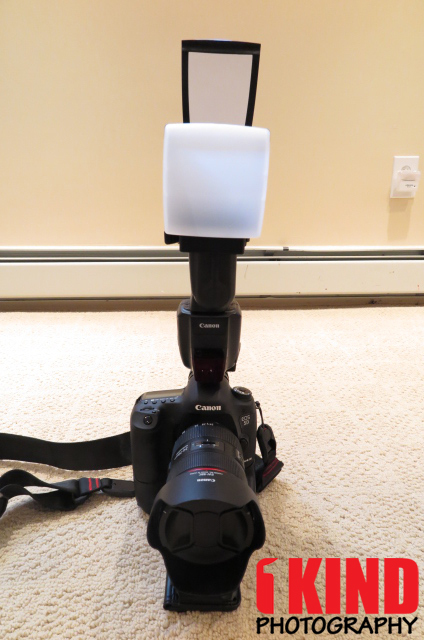 This allows the flashgun to be used in a direct position if you need full power to reach far away subjects. 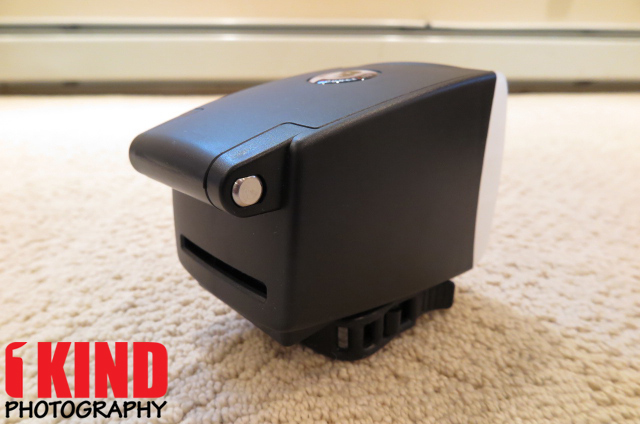 There is no need to remove BounceLite from the flash head. 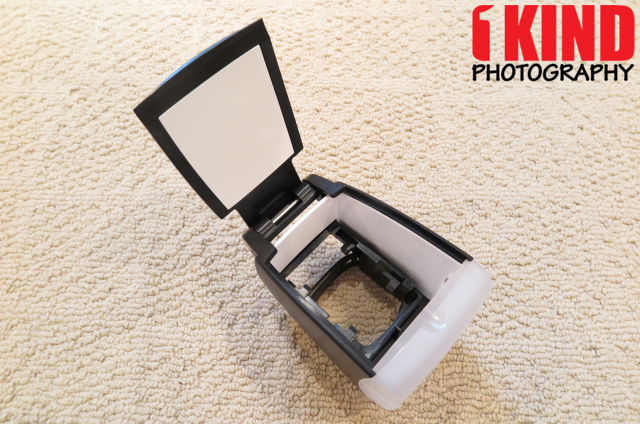 It's also ideal for off-camera use to create studio lighting. 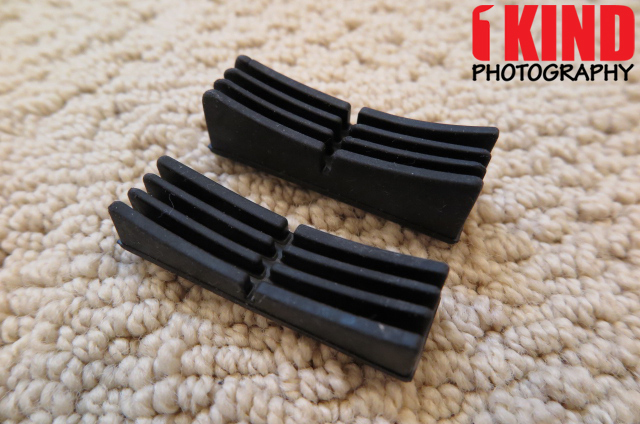 One of the most present problems with current diffusers is the tendency to fall off. This can happen just before you take your important shot, which is infuriating and exactly why BounceLite is as sturdy and unshakeable as they could make it. 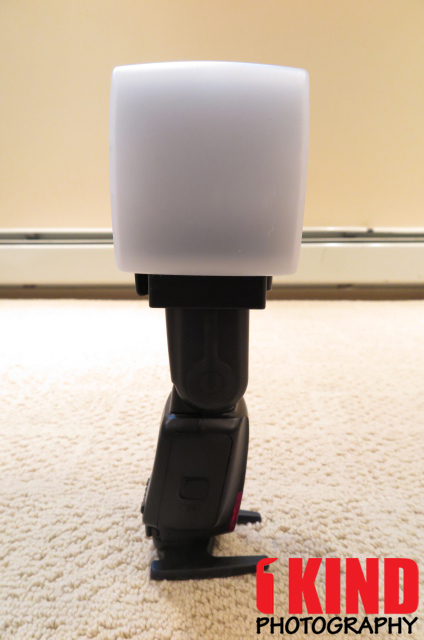 When using the BounceLite, you'll need to turn the flash head so that the BounceLite is facing forward. 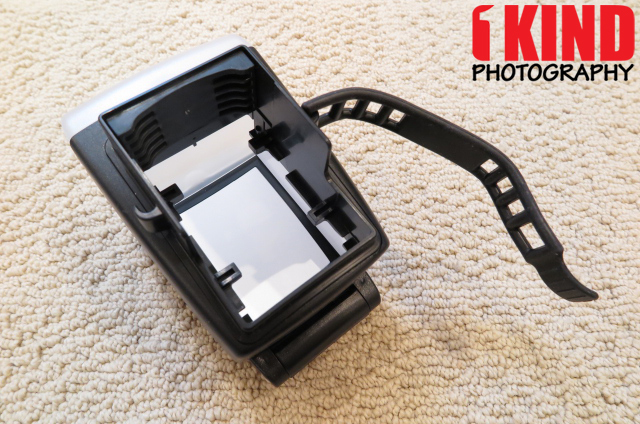 By turning the flash head, this allows you to continue to use the flash in portrait mode without having to readjust or remove the BounceLite. 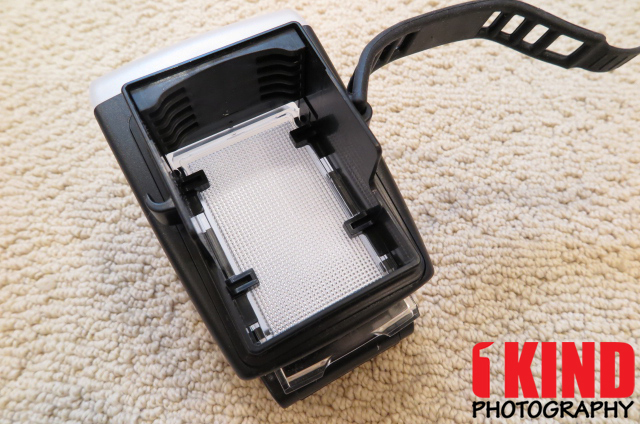 The animation above shows the amount of light being let out from just the diffuser and top closed to the top bounce card fully open. 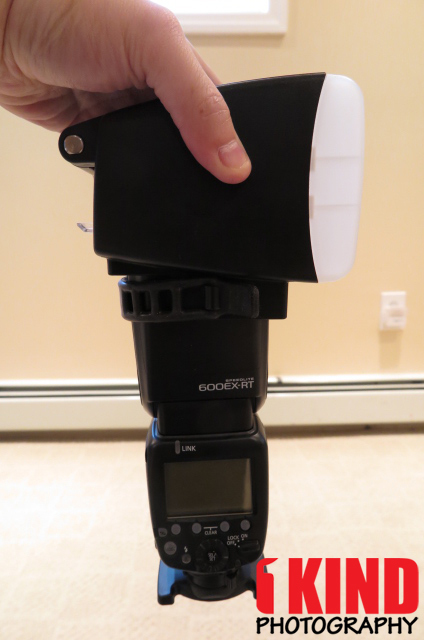 Conclusion : Overall, the BounceLite Flash Modifier Softbox does a great job at being a diffuser, bounce card and portable softbox in one. 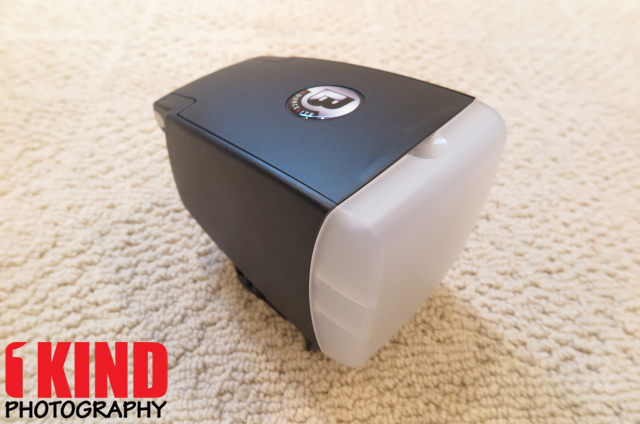 The BounceLite is very sturdy and secure when mounted. 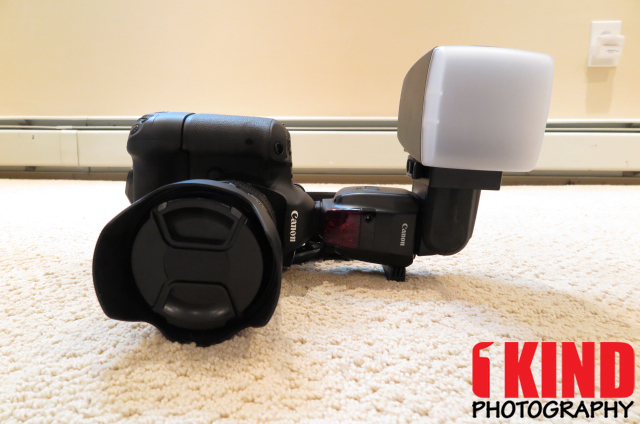 It's a little pricier than other flash modifiers on the market. 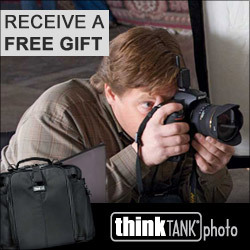 It's also a bit big and clunky but its fairly light and won't make your camera top heavy.